There are plenty of ways to ensure that your child gets a safe and healthy lunch each day. You can limit to sugary foods, provide them with a variety of fresh fruits and veggies and can also help them stay hydrated. These are some key ways to promote health. However, what many parents don’t consider is the insulated lunch bags in which the lunch gets packed. According to recent studies, plastic is not the safest material to store food. That is because many plastics discharge estrogen-chemicals like carcinogens, neurotoxins, and other dangerous substances into food. 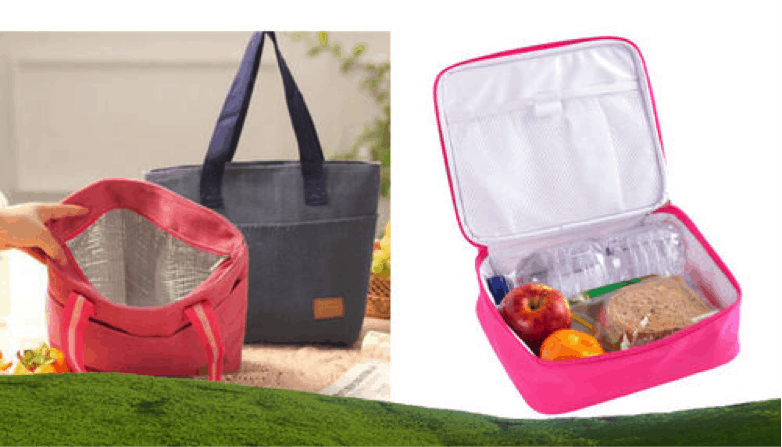 How About Eco-friendly Lunch Box Options? These bento lunch boxes are perfect for your children as they are made from stainless steel as they are much safer than plastic boxes. Moreover, these lunch boxes are also double insulated which keeps hot foods hot and cold food cold. Bento lunch boxes also come with adjustable dividers which will help you easily maintain portion control and create nutritious lunches. Kangovou bento lunch boxes are available in two sizes which ensures that you won’t need to buy another lunch container for years to come. ECO Lunchbox is actually a 3-in-1 container which is made of stainless steel and is comprised of two stacked levels with a third small box that can be put inside either one. The ECO lunchbox allows the children to easily carry hot and cold food all at once. Moreover, the container is also dishwasher safe. Which means, you can simply put in the dishwasher to get it cleaned. Further, the containers are also held together by sturdy snaps on each side to prevent leakage. The containers are also microwave safe, so you can place it in a medium-hot oven to quickly reheat leftovers for an after-school snack. If you want a classy and elegant way to carry your lunch, opt for Happy Tiffin lunch box. Happy Tiffin Lunch system is available in two-tier or three tiers. Happy Day tiffin system snaps together with a handheld lid for easy carrying. Each container can hold up to 3 cups of food, is leakproof, and air-tight as well. These containers are dishwasher safe and easy to clean. Planet Boxes are a great choice for big as well as little kids. Just like Happy Tiffin, Planet Box is made from stainless steel. This lunch box comes multiple compartments of different sizes and shapes which makes it easier to control the portion. Each box is made from the hinged lid that ensures that you will never have to look for to find the matching top during busy mornings. If you purchase Planet box, you will get a set of magnets free to add a personal touch to your lunch box. Another plastic free lunch boxes are the Lunch Bots which are stainless steel boxes like every other lunch box. They are available in a wide range of sizes, such as small, snack-friendly containers to large, five compartment lunch boxes that would easily pack enough food for an adult. The company also makes a variety of accessories for you to take with your tiffin boxes such as dip cups, thermoses, and insulated containers. Lunch Bots can also be customized with a colorful, dot-filled lid cover which makes it easy to distinguish between different Lunchbot boxes. Moreover, you can even buy insulated lunch bags from Ice-green. Ice-greenis a leading international manufacturer, wholesaler, and supplier of reusable bags and other environmentally-responsible packaging solutions.